Kumaun University B.Ed / M.Ed Entrance Exam 2019 – It is conducted annually by Kumaun University. The B.Ed / M.Ed Entrance Exam 2019 was held on March 31, 2019. Candidates who wish to seek admission in the B.Ed / M.Ed courses offered by Kumaun University needs to appear for this entrance examination. Students will be granted admission in the university on the basis of the marks scored by the candidates in the entrance examination. Firstly, it is mandatory that the candidates register themselves for the examination. The answer key for the Kumaun University B.Ed / M.Ed Entrance Exam 2019 is available now, candidates can download the same through the direct link which is available on this page. Students can get complete information about the Kumaun University B.Ed / M.Ed 2019 examination on this page. Latest: The Answer Key for the B.Ed / M.Ed Entrance Exam 2019 has been issued. Scroll down to check. Candidates are requested to check the eligibility criteria before filling the application form. Incomplete application forms will also be rejected. Candidates can refer to the table below to keep a track of all the events and their dates of Kumaun University B.Ed / M.Ed 2019 examination. 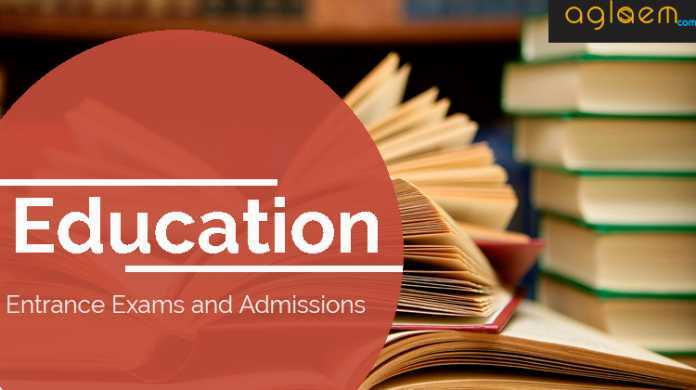 Click here to check the M.Ed.Entrance Examination 2019 ANSWER KEY – M1. Click here to check the B.Ed.Entrance Examination 2019 ANSWER KEY – B1. Click here to check the B.Ed.Entrance Examination 2019 ANSWER KEY – B2. Click here to check the B.Ed.Entrance Examination 2019 ANSWER KEY – B3. It is highly recommended that the candidates go through the information brochure before applying for the Kumaun University B.Ed / M.Ed 2019 exam. Candidates should ensure that they fill all the eligibility criteria laid down by the examination body. Students who fail to fulfill the criterion will be disqualified from the exam. Below we have provided in detail the eligibility criteria for both the courses. Students who are appearing for their final qualifying examination (U.G or P.G) are eligible subject to their U.G or P.G Result is declared and available to the University on or before Verification/Counselling date of B.Ed course. Candidates belonging to the General category should have secured at least 50% marks in their graduation or post graduation examination. Candidates with even 49.99 percentile are not eligible to apply. Candidates belonging to the reserved category (Other Backwards Class, Scheduled Caste and Scheduled Tribe) should have scored at least 45% Marks in their graduation or post graduation examination. Candidates with percentage of 44.99 are not eligible to apply. Candidate should not have any criminal record against them. Candidates who have been debarred by the University for any reasons will not be eligible. Students who are appearing in qualifying examination (B.T / L.T / B.EL.Ed / D.EL.Ed / B.A B.Ed / B.Sc B.Ed or B.Ed Equivalent Examination ) are eligible subject to their B.T / L.T / B.EL.Ed / D.EL.Ed / B.A B.Ed / B.Sc B.Ed or B.Ed Equivalent Examination Result is declared and available to the University Admission date of M.Ed course. Candidates belonging to the General category, Other Backwards Class, Scheduled Caste and Scheduled Tribe should have secured at least 50% marks in their B.T / L.T / B.EL.Ed / D.EL.Ed / B.A B.Ed / B.Sc B.Ed or B.Ed Equivalent Examination. Candidates with even 49.99 percentile are not eligible to apply. Candidates have to register themselves for the exam through the Kumaun University B.Ed / M.Ed 2019 application form. First and foremost they have to pay the application fees through prescribed mode only. Candidates will be asked some mandatory information during the fees payment. It is advised that the candidates provide authentic information as that record will be forwarded to the university and once submitted it will not be changed. 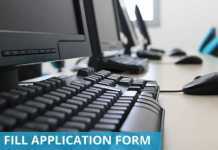 Candidates will be able to fill their application form 24 hours after they have submitted their application fees. Students who have successfully submited their duly filled application form before the last scheduled date can download their admit cards for the exam. It is available on the official website for the candidates to download. It is mandatory that the candidates carry their admit cards on the day of examination. Candidates without a valid admit card and a valid photo id proof will not be allowed to enter the examination centre. The entrance examination will be conducted only in the exam centres assigned by the university. We have listed the examination centres for the B.Ed / M.Ed Entrance Exam 2019. The examination pattern of Kumaun University B.Ed / M.Ed Entrance Exam is based on the last year record. You can check it for the reference only as conducting body will release the latest one we will update here. The entrance examination for this course will have only one paper. The duration of the exam will be of 2 hours. The examination will be an objective type exam. The questions will be asked in the MCQ form. There will be no negative marking in this examination. The questions will be asked on the topics listed below. Development of learner and teaching-learning process. Development of Educational systems in India. Essentials of Educational Technology and Management. Kumaun University will release the B.Ed / M.Ed 2019 Examination Admit Card on the official web portal. Admit Card will available in online mode only, it will not send to candidates by any other mode. it will serve as a unique identity proof for the candidate. It is an important document and will comprise of all the important details about the examination and the candidate. Candidates are advised to bring it with them, without it you are not allowed to sit in the Examination Hall. Kumaun University will release the important dates of counselling for the admissions in the B.Ed. colleges through the Kumaun University B.Ed / M.Ed Entrance Exam 2019. The counselling details for the admissions in the B.Ed. colleges have not announced yet. As soon as conducting body will release the information we will update it here.